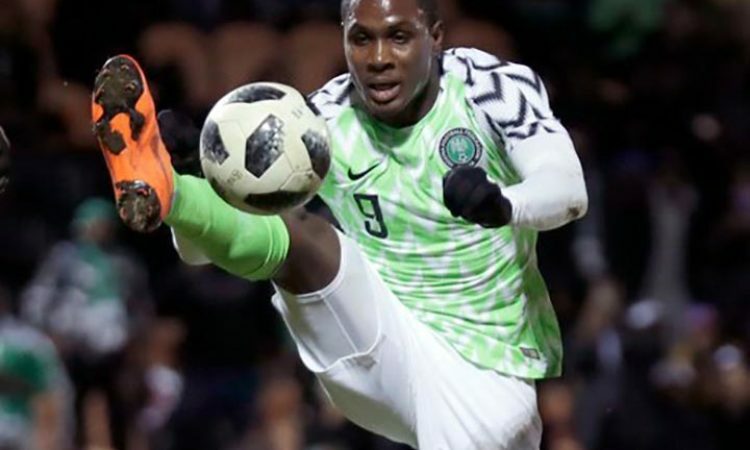 Odion Ighalo’s fairytale move to Barcelona has been halted as the Super Eagles forward would have to seek other clubs to ply his football trade at. The Nigerian international had initially planned on returning to Europe in the current window, but Barcelona interest ignited a desire to become a high profile player featuring for the Nigeria team. The Blaugrana side are desperately in need of a forward after player Munir Haddadi joined Sevilla. However the Catalonia club have narrowed their search to DR Congo international Cedric Bakambu who previously features for Villareal, while Alvaro Morata and Carlos Vela have been considered. Bakambu is currently a player of Beijing Sinobo Guoan in the Chinese Super League. He was signed on for €40 million. The striker is one of the best paid foreign players in China. Barcelona coach, Ernesto Valverde, is said to be interested in the player because his skills sooth the team’s style of play. With 10 days to the end of the transfer window, the Spanish giants are reported to be pressurizing the player to hand over transfer request to his present employer to facilitate smooth switch to Camp Nou. Meanwhile Ighalo would have to search for a club with Crystal Palace and Wolves considering to approach him.